By default the feature is disabled but it is in the Settings of the app under Caller ID & spam. 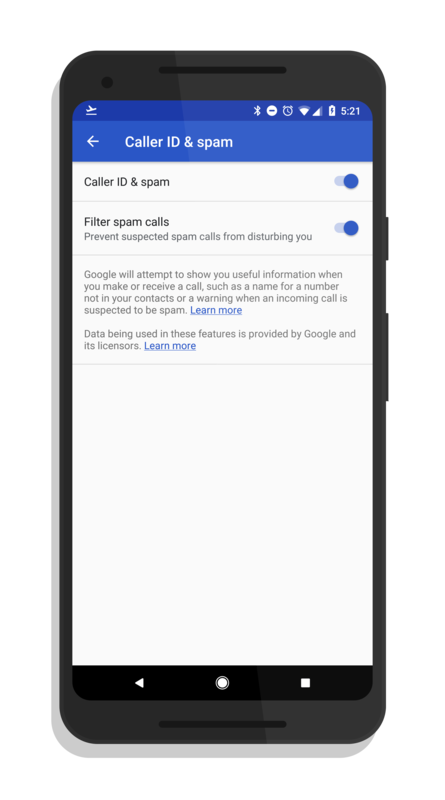 There you will see a toggle to enable or disable the Filter spam calls. Once it is enabled, you are good to go and can leave it alone. If you don’t like the results, no problem. Just turn it back off in the same location. Google does a fantastic job of keeping known spam numbers listed so the feature in Google Phone should work pretty well. But, as spammers rotate numbers, you may get a call. Just make sure you mark it as a spam call in the app so it can be registered with Google.